Over the past decade, Netflix has slowly been churning out some of the most groundbreaking television shows to ever grace the small screen. House of Cards perfected the political drama. Black Mirror revitalized Twilight Zone-esque anthology fiction for a 21st century audience. Big Mouth deftly tackled uncomfortable subjects without ever crossing the line into poor taste. These shows are smart, original and a beacon of hope in the money-hungry reboot culture that American media is seemingly mired in. If it was not painfully clear already, the series is presented by the original “The Soup” host Joel McHale (Community). The format is identical to the show’s predecessor, with McHale providing a satirical commentary over a variety of clips sourced from television, film and the web. It is a notoriously difficult format to bungle but, in typical Netflix fashion, the streaming service was more than happy to push the envelope and attempt to do it anyway. The first issue is so glaring that Netflix saw fit to include it in the title not once, but twice. 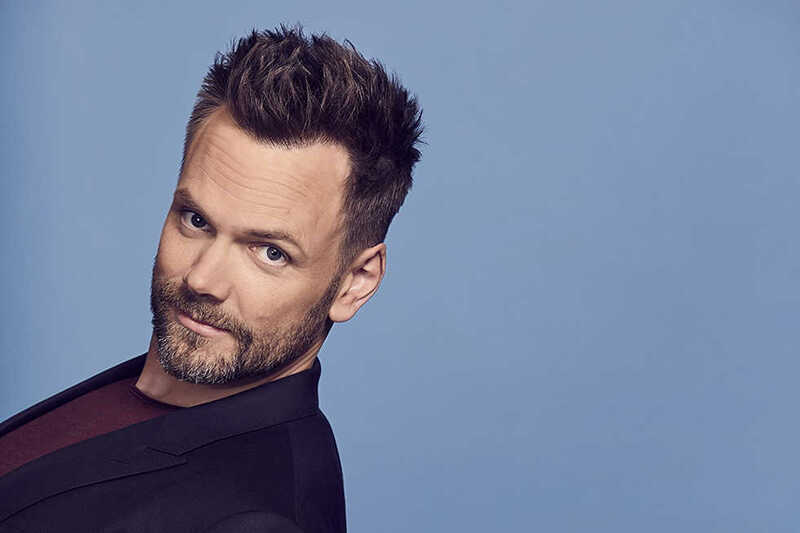 When Joel McHale began hosting “The Soup” in 2004, he was an up-and-coming comedian with a biting wit and a charm that viewers were hard-pressed to find fault with. Today, in his late forties, McHale is reminiscent of a sleazy, coked-out uncle that shops at Urban Outfitters and brings 19 year olds to Thanksgiving dinner. He delivers his commentary with the charisma of a pre-Dyson vacuum cleaner. If viewers are ever tempted to laugh at any point during the pilot’s 27 minutes, the smirking embodiment of a mid-life crisis will prove a formidable barrier at every turn. To be fair, any host will flounder when given a stale and poorly-conceived script. Netflix may want to consider firing the high school improv troupe they currently have writing for the show and find someone that will not repeatedly make the same joke about the Afrikaans translation for “child” being “kunt.” To quote the show itself, “this might stop being funny a couple of times.” The context of this quote is a montage of South Korean actors being hit by vehicles, but it may be better suited describing a comedy show that screens a montage of South Korean actors being hit by vehicles. Though Netflix is at the forefront of ad-free TV, they somehow found it germane to use the show itself as a thinly-veiled ad for their other programs. McHale takes a tour of the “Netflix Headquarters” in a lengthy tongue-in-cheek bit depicting his interactions with other Netflix stars eager to plug their own shows. Being self-serving is understandable; attempting to squeeze a joke-slinging Joel McHale into a giant, poorly-acted advertisement is not. To avoid repeating myself, I will leave you with paraphrased advice my mother gave me once when I was huddled over the toilet with food poisoning: if soup has been sitting out for a few years, it has probably gone bad.